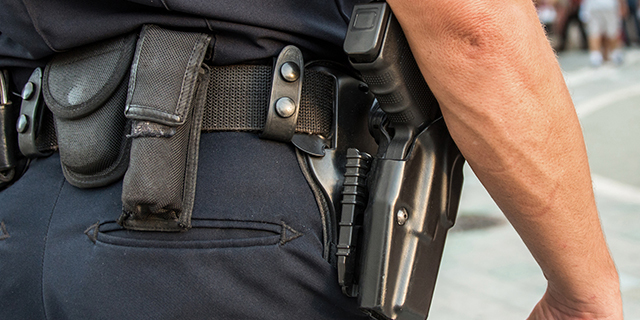 Many Americans believe it is common for police officers to fire their guns. 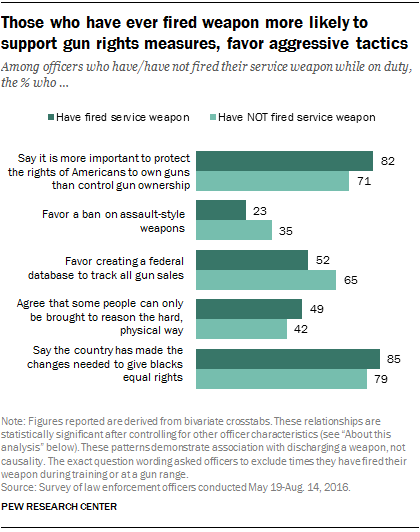 About three-in-ten adults estimate that police fire their weapons a few times a year while on duty, and more than eight-in-ten (83%) estimate that the typical officer has fired his or her service weapon at least once in their careers, outside of firearms training or on a gun range, according to a recent Pew Research Center national survey. The 14 factors controlled for in the logistic analysis were the officer’s gender, age, race/ethnicity, education, years in law enforcement, current assignment and rank, veteran status, size of the officer’s department, whether the officer’s agency was a police or sheriff’s department, whether the department was located in an urban or suburban area, the census region where the officer’s department was located, the size of the population served by the officer’s department and the city or county’s violent crime rate in 2015. Unless otherwise noted, only those relationships that were statistically significant after controlling for these factors are reported.